The last product I tried from MeMeMe left me feeling very impressed and surprised at the brand who used to be a bit cheap and cheerful. They’ve spent the Summer re-branding their nail polishes and this is the result – a very complete range of nail colours that look fab both inside and outside the bottle. I love the cute baroque design which makes it look a bit more special than your bog-standard bottle of Rimmel – it gives the range an element of sophistication that you’d expect to see from your more mid-priced brands. The formula is enriched with minerals so it nourishes while you wear it, and the maxi brush (which is about twice the size of a regular applicator) makes it super easy to get the right amount of polish on first time. 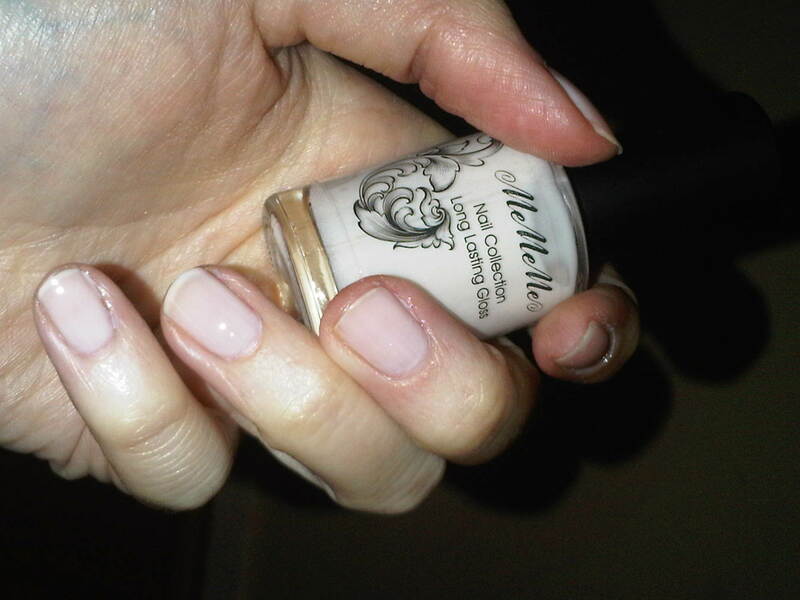 The only drawback is that because the brush is so big it’s really easy to get far too much on your nail – so be careful! Two coats of this are plenty and I’ve had this on since yesterday and there’s not a single chip yet… considering I normally have chips about an hour later, this is good going. Here are a couple of shades from the range – I am absolutely in LOVE with the grey colour and vow to wear it to death this winter. Grrr I'm jealous – I really want the Khaki. I may have to go on the hunt for it later!